​Close to the M61 motorway and just 2 miles from Bolton town centre. Great location for Blackpool and with the Reebok Stadium, home ground of Bolton Wanderers Football Club is within walking distance. This Premier Inn offers great value, with free parking and comfortable, modern en suite rooms and a Fayre & Square restaurant serving quality food throughout the day. 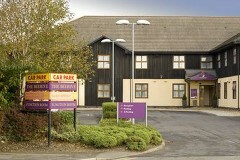 Looking for great Premier Inn deals in Bolton? Book direct now. ​Close to the M61 motorway, the hotel offers free parking and a Harvester restaurant, 2 minutes walk from Horwich Parkway Railway Station and the Reebok Stadium (for Bolton Wanderers FC). Hotel facilities include a Harvester restaurant and WiFi available throughout the building. 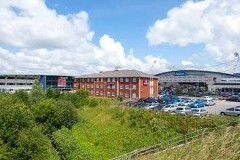 Get the best Premier Inn special offers in Bolton by booking direct.